Just revealed only hours ago to the general public, we have brand new up close and clear images of Soul Of Chogokin Titanus AKA King Brachion! Whether you’re a fan of Mighty Morphin Power Rangers or Kyoryu Sentai Zyuranger, this massive mighty carrier will make a fine addition to your collection. 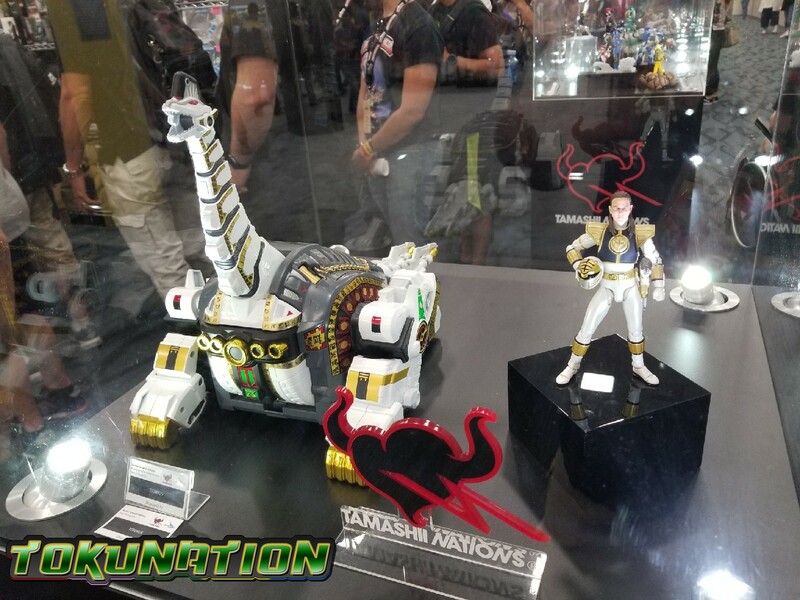 While currently we still have no idea what the release window and price are looking for at this time, we can see that this will be an impressive companion to your SOC Megazord (Daizyujin) & SOC Dragonzord (Dragon Caesar). We’ll keep you up to date as more » Continue Reading.